An immersive installation performance collaboration between artist Clive Burton and the performance artist Dagmara Bilon at hARTslane Project Space. An immersive installation performance collaboration between artist Clive Burton and the performance artist Dagmara Bilon. It is the third and concluding part of a trilogy of installations by Clive Burton involving ‘The Building as the Artwork’ at hARTslane Project Space. The preceding two concept works where the palimpsest installation ’Socket and See’ in 2014 and ‘Harts Rain’(Weather Report) 2016 an installation involving time movement and sound. ‘Pulse’ proceeds in a collaboration of integrated live performance. Active buildings have physical and spiritual energies, which become interactive with their inhabitants and visitors. 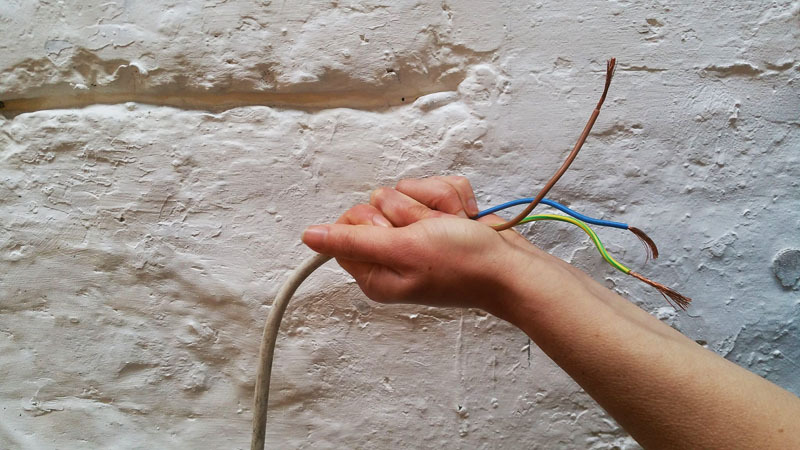 ‘Pulse’ engages and activates these energies through rendering the building empty and employing the electrical wiring outlets as a metaphor for the nervous system. The human / building interface and other layers of reference are facilitated and activated by the impromptu improvisation by the performance artist in this immersive experience and open ended performance; offering diversifying layers for interpretation. There is no audience only visitors who become integral in the artwork by just being there as part of the internal space of the building. Both events are free to attend. All welcome!